Edge towers CONDOS IN PRE-CONSTRUCTION BY SOLMAR DEVELOPMENT CORP. Edge Towers is a new mixed-use condominium development currently in pre-construction at 24-64 Elm Drive West and 3528-3536 Hurontario Street in Mississauga, Ontario by Solmar Development Corp. The proposal consists of three residential buildings designed by Cuismano Architect. Edge Towers Condos is located at the southwest corner of Elm Drive West and Hurontario Street in Mississauga. 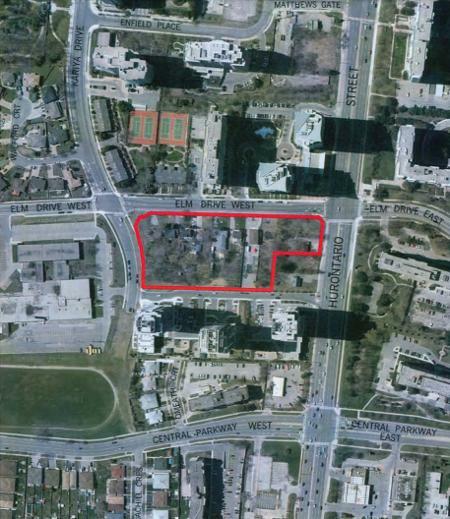 It is located on a site that consists of 10 separate parcels of land where detached homes currently sit and will soon be demolished in order for the construction of the three proposed residential buildings. Mississauga’s future is about enjoying today. Edge Towers is where enjoying the day will start in a new condominium community at Hurontario St & Elm Dr W. The new Edge Towers Project community is about bringing family, friends and neighbours closer, and also with a major mall such as Square One, Sheridan College, banks and libraries a walk away, commercial and public amenities are all within walking distance. Culture, character and personality are all attributes of a great community. Mississauga residents can find the best of it at the nearby public places such as the Civic Centre, Celebration Square and the Living Arts Centre. Also when the need for travel comes up for work or pleasure, residents have transportation all around them. Choices they will have are the GO, Mississauga Transit or bike paths, all are convenient and readily available. Solmar Development Corp. is proposing to have "several green development initiatives that will be incorporated into the development, including: on-site storm water retention; energy efficient lighting and storage; and, collection areas for recycling and organic waste within the building". This new residential development is located in downtown Mississauga close to the Square One Shopping Centre, Pladium, the Missisauga Civic Centre, the Living Arts Centre, the Art Gallery of Mississauga, Mississauga Central Library, the Sussex Centre, the YMCA of Greater Toronto-Mississauga and the Mississauga Valley Community Centre. It is also located closeto accessible public transportation as well as the Highway 403. The Cooksvile GO Station is also located not too far away. 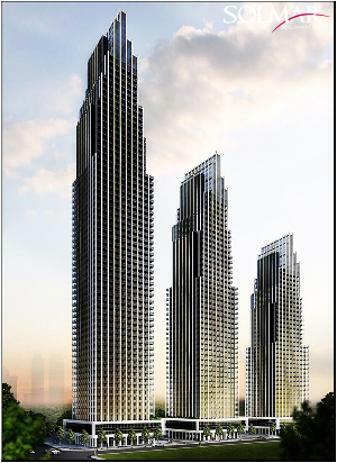 Register with us today for more information on the Edge Towers Condos by Solmar Development Corp.! For more information, please register today for the Edge Towers Condos.